Every year, school administrators and teachers sit down and plan professional development opportunities to benefit teachers and students alike. But when you consider your professional development, do you also consider the stage you or other teachers are at? Is the information and format best suited to your needs? In short, are we delivering professional development in ways that reflect our Montessori teaching practices. It has long been the standard to deliver straightforward information in a workshop format. This type of presentation is reminiscent of conventional education whereby the speaker lectures or tells the audience the information. The majority of audience participation is passive listening. Rather than a test, the assessment in professional development is how well the information is transferred and implemented in classroom practice. Teachers, for the most part, are active learners who take an interest in developing and refining their skills in the classroom. They do not struggle learning new information; they struggle with implementing it into their classroom. In order for professional development to be effective, we must realize this and tailor our discussions to meet teachers where they are, no matter what stage they are in their career. I was recently asked to speak to a group of new Montessori teachers. This is a group of conventionally trained, certified teachers who are starting a new Montessori public charter school. 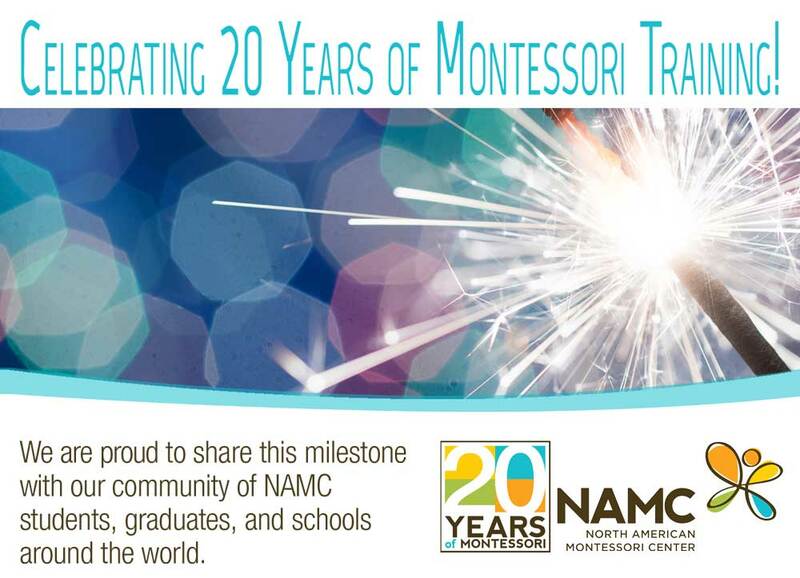 As I put my talk together, I thought about what each of these new Montessori teachers needed. I harkened back to my first weeks in a Montessori environment and remembered how nervous I was. It wasn’t the curriculum but the methods that caused me stress. I threw away my PowerPoint presentation and started over. As the teachers entered the room, I made sure to greet them with a handshake, looking them in the eye, smiling, and telling them how happy I was to see them. After our introductions, I handed out a large stack of photographs and asked the teachers to sort the photos into those that were “Montessori” and those that were not. Some amazing discussions transpired as the teachers really analyzed what was happening in each photo. I then invited the teachers to place the photos on rugs at the front of the class. As we gathered around, we had a more in-depth conversation about their choices. After some critical thinking and collaboration, some photos were moved from one rug to the other, until everyone came to consensus about what a Montessori environment looked like. After a break, I invited the teachers to come to my lesson on the floor. Here, I presented a three-period lesson with the Montessori Geometric Solids. Not a sound was heard as I slowly demonstrated how to feel the cube, the triangular-based prism, and the rectangular-based prism. This focused silence carried all the way through the third period. When I finished my presentation, I quietly broke their concentration by asking for their thoughts. This seemingly simple presentation introduced an amazing discussion on the importance of “show, not tell” in the Montessori environment. In all my years of receiving and delivering professional development, this was my most amazing journey. 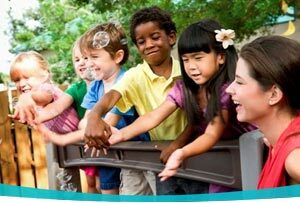 By respecting the teachers and considering the stage they are at in their careers, I was able to prepare lessons that were relevant to them and that would help them be successful in their own Montessori classrooms. There was so much I wanted to share with them, but I needed to give them the tools that would be most beneficial to them. Because they were active participants in the lessons, these teachers will remember the work clearly and be able to apply it in their own Montessori classrooms. Darling-Hammond, Linda et al. Professional learning in the learning profession: A status report on teacher development in the United States and abroad. National Staff Development Council, 2009. Zepeda, S.J. 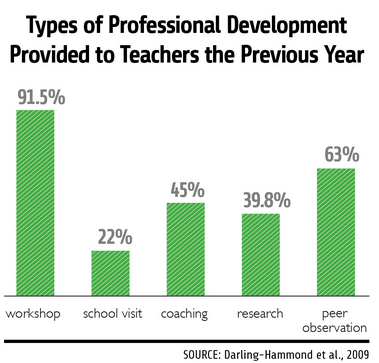 Professional development: What works. Larchmont, NY: Eye On Education, Inc., 2008. © North American Montessori Center - originally posted in its entirety at Montessori Teacher Training on Thursday, October 15, 2015.